A new look at old data is giving scientists a fresh reason to view Europa, a moon of Jupiter, as a leading candidate in the search for life beyond Earth, with evidence of water plumes shooting into space. A bend in Europa's magnetic field observed by NASA's Galileo spacecraft during a 1997 flyby appears to have been caused by a geyser gushing through its frozen crust from a subsurface ocean, researchers who reexamined the Galileo data reported on Monday. 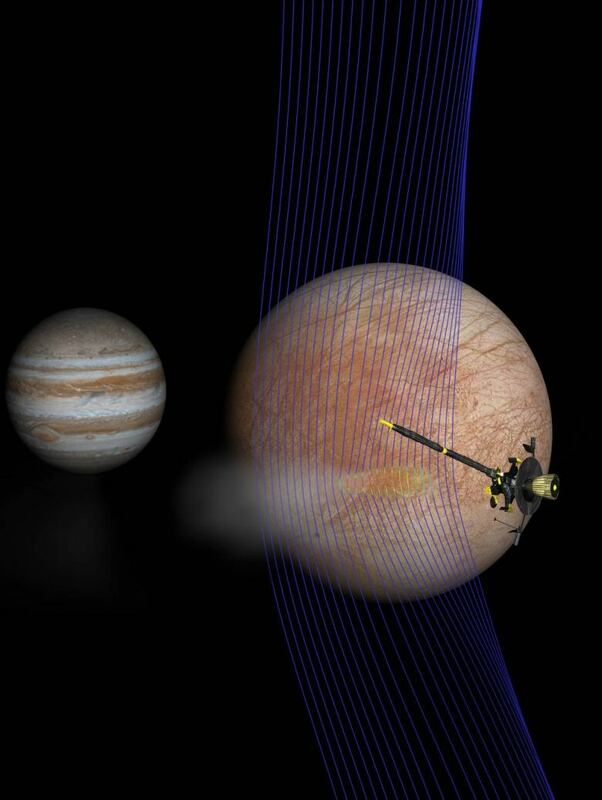 Galileo was passing some 200 kilometres (124 miles) above Europa's surface when it apparently flew through the plume. "We know that Europa has a lot of the ingredients necessary for life, certainly for life as we know it. There's water. There's energy. There's some amount of carbon material. 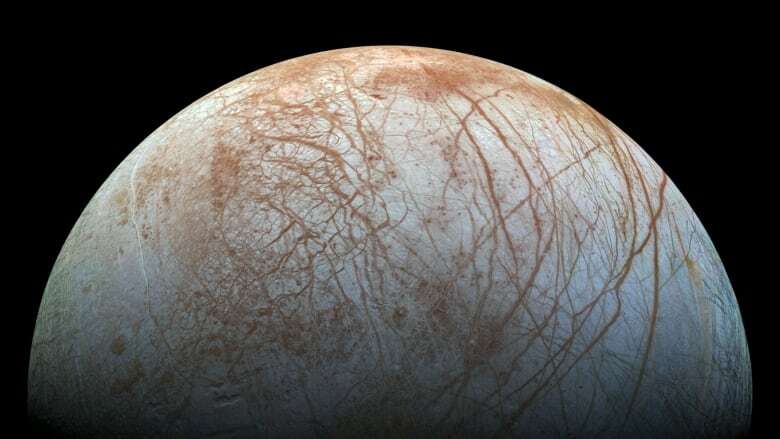 But the habitability of Europa is one of the big questions that we want to understand," said planetary scientist Elizabeth Turtle of Johns Hopkins University Applied Physics Laboratory. "And one of the really exciting things about detection of a plume is that that means there may be ways that the material from the ocean — which is likely the most habitable part of Europa because it's warmer and it's protected from the radiation environment by the ice shell — to come out above the ice shell. And that means we'd be able to sample it," Turtle told a NASA briefing. The research, headed by University of Michigan space physicist Xianzhe Jia, was published in the journal Nature Astronomy. The findings support other evidence of plumes from Europa, whose ocean may contain twice the volume of all Earth's oceans. NASA's Hubble Space Telescope in 2012 collected ultraviolet data suggestive of a plume. NASA will get a close-up look from a new spacecraft during its Europa Clipper mission that could launch as soon as June 2022, providing a possible opportunity to sample plumes for signs of life, perhaps microbial, from its ocean. Europa is considered among the prime candidates for life in our solar system, but is not the only one. For example, NASA's Cassini spacecraft sampled plumes from Saturn's ocean-bearing moon Enceladus that contained hydrogen from hydrothermal vents, an environment that may have given rise to life on Earth. A bit smaller than Earth's moon, Europa's ocean resides under an ice layer 15 to 25 kilometres (10 to 15 miles) thick, with an estimated depth of 60 to 150 km (40 to 100 miles).